If I could pick out one feature that has transformed my experience of Twitter, it would not be technological breakthroughs like UK trending topics or search engine integration. Instead, it would be the humble Twitter list. I first came across Twitter lists on the superb third-party app TweetDeck and it's no exaggeration to say that this was the day I was finally converted to micro-blogging. Up till that point, I had found myself drowning in a sea of information. Why? One of the main ways of building up a community of followers is to follow them first – indeed, a recent report from market research group Hubspot found that the average Twitter user had 100 followers but was following 170. Unfortunately, this soon means your personal feed becomes filled with babble about, for example, what sandwich somebody is eating. And the problem is that important broadcast tweets inevitably get drowned out by trivia. Another problem is segregation. Like most people, I have a range of unrelated interests – journalism, SEO Manchester, local news, comedy and Liverpool FC to name but a few. In the daytime, I might want to keep abreast of the latest developments in the SEO Manchester community for @theeword whereas at home I might want to browse the main stories and rumours concerning @LFCTV. But when I joined Twitter in July 2009, it was an all-or-nothing experience. Official Twitter lists finally launched in October. 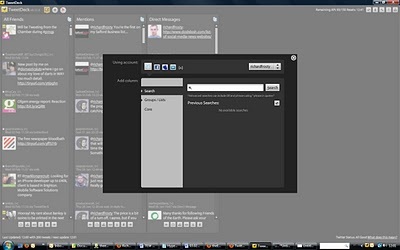 But TweetDeck got there first and, for me, it's still a much more user-friendly and intuitive way of setting them up. It surprises me that many social media fans still don't know how to create Twitter lists so read on and discover how you can get started. 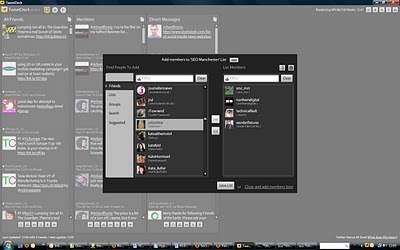 These Twitter lists will then appear automatically on TweetDeck whenever you launch the application, complete with the latest tweets from everyone on the list. 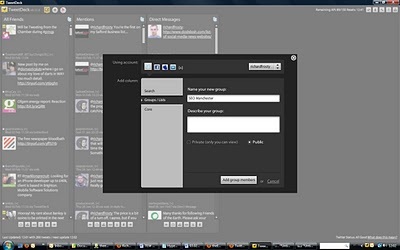 You can also sync between your work PC, your home laptop and your iPhone when you register a TweetDeck account (it's free). 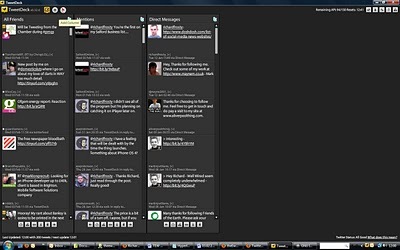 And you will even see the lists on the right-hand side of your profile when you log into Twitter directly. If you went down the public route, everyone else can see and follow them too. 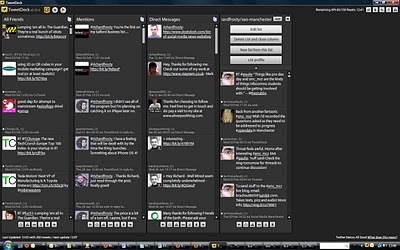 Twitter lists are an amazing feature that will revolutionise how you use social media. So what are you waiting for?